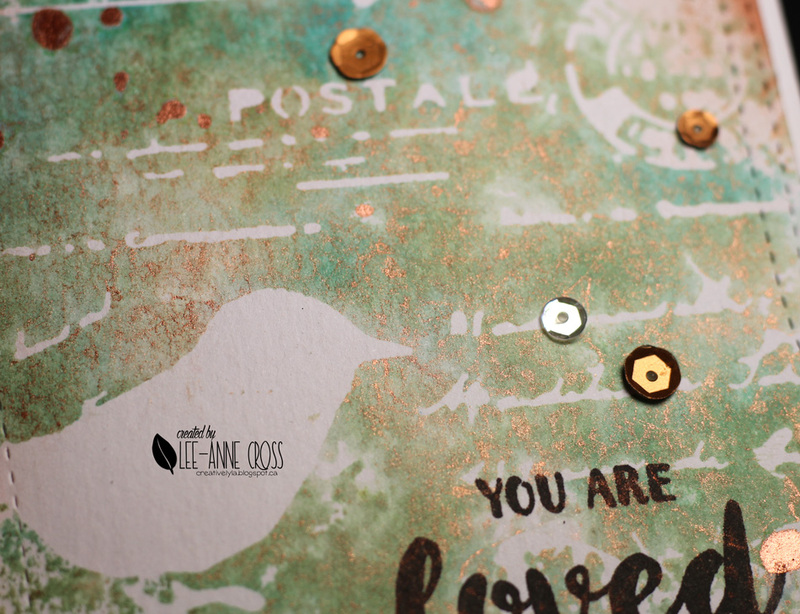 This is a stencil monoprint made with Distress Inks and Perfect Pearls. I wanted an aged copper feel, so that’s how I chose the colors to work with. Easy-peasy, quick as a wink card. Added a bit of Copper Inka Gold around the edges and a few drips of Copper Perfect Pearls Mist. And, of course, my usual smattering of sequins. 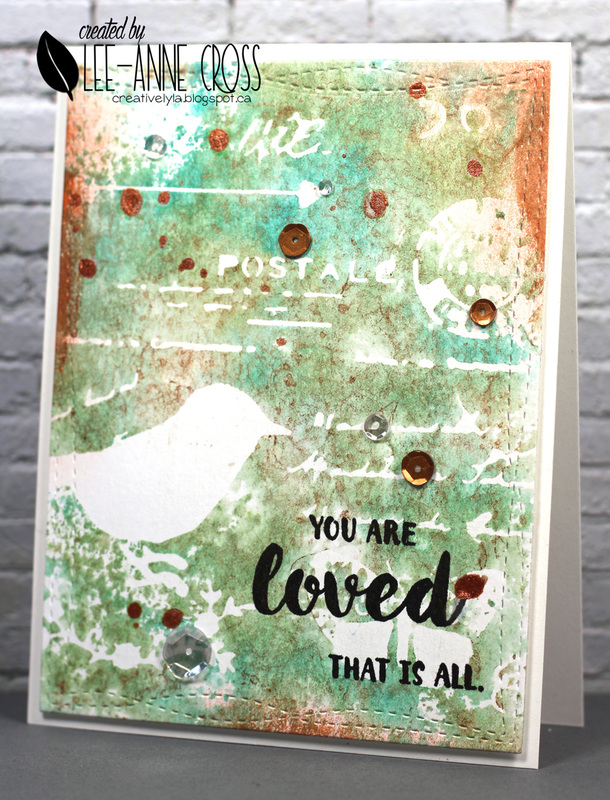 Not familiar with the stencil monoprint technique? Here’s a video tutorial that I did last year.